Sometimes a gift basket just isn’t complete without a bottle of fine wine or a fun margarita mix. 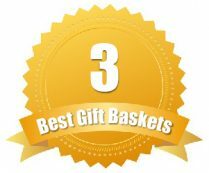 If you are looking for baskets that have the best quality wines, beers or liquors, then you have your work cut out for you. While some will dabble in wines, they often lack the creativity or even selection to satisfy your cravings. That is why we have created a list of our best picks for those that want to add a little bubbly or spritzer to their gift basket. These merchants were picked for their selection, prices and even add-on options. 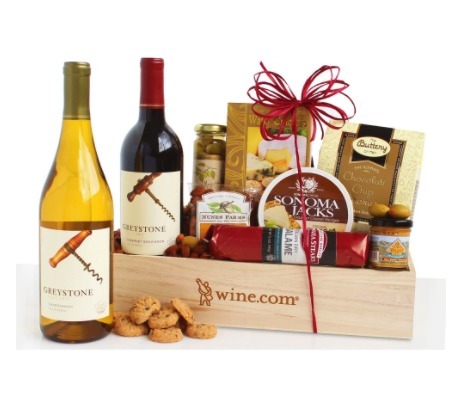 If you are looking for high quality wines and gourmet gift baskets to pair with them, Wine.com has your covered. As the name implies, this company specializes in wine products. You can buy bottles of wine, join their wine club and even order wines by the case. 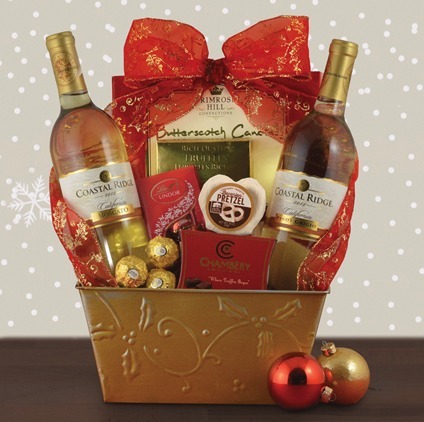 But, when you are looking for wine gifts, you will also find and impressive selection of gift baskets full of wines. 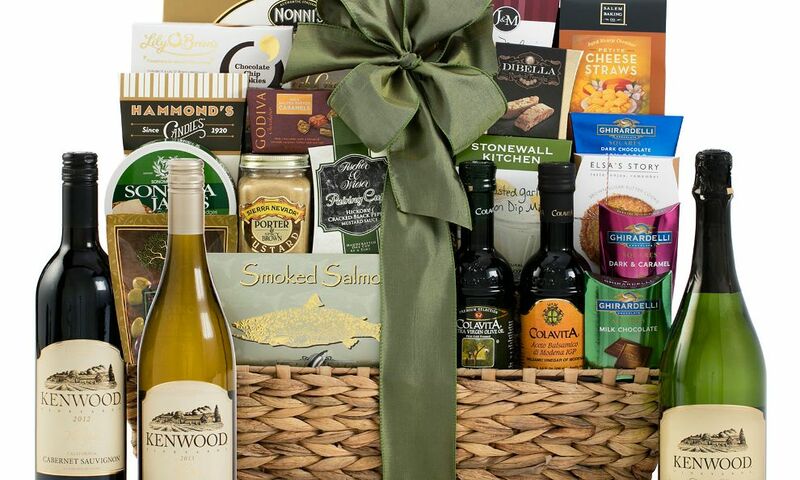 Their gift baskets can come in oak cases, feature Dom Perignon with chocolates, and include California wines (up to four or more bottles) with cheeses and picnic baskets and more. 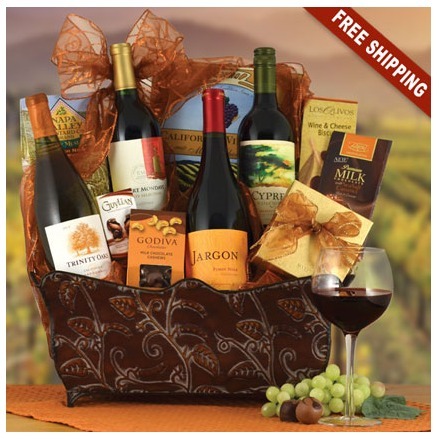 You can even find wine gifts for under $40 and they have reasonable shipping rates for their baskets. The quality of wines is exceptional. These wines are handpicked by their in-house curators and are some of the same wines you will find in their wine of the month club. The wine-themed gift baskets will range from under $40 to well over $150. They offer $0.01 shipping on some of their wine gift baskets as well – which makes it perfect if you are ordering several baskets for gifts. Don’t forget to check out their wine of the month club. You can check out the review for Wine.com’s wine of the month club right here at Revuezzle to see if this is the right gift or membership just for you. Large selection of wines, foods, and gifts for any occasion. 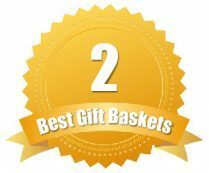 Special order baskets and free-shipping are available. If variety is what you seek, WineBasket.com is definitely the place to shop. 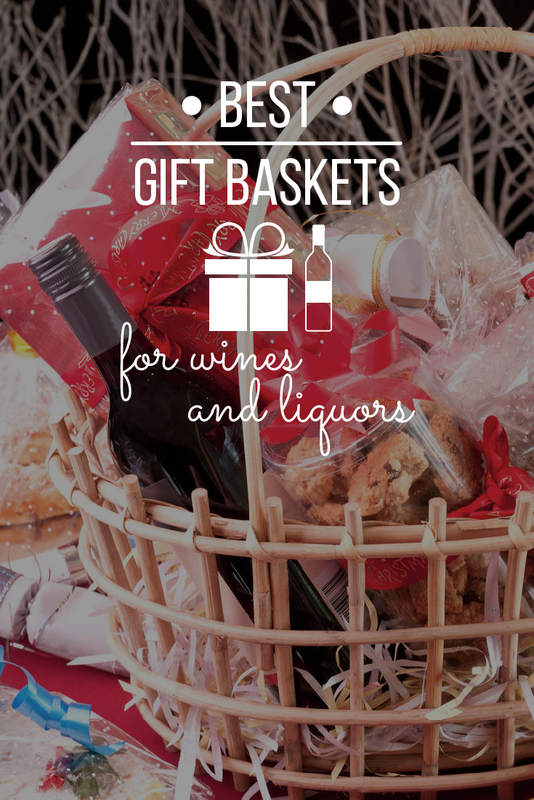 They have the largest inventory of gift baskets that feature wine and liquors. While some of the brands are generic, they do their best to be creative with how those brands and types of wines are incorporated into their baskets. 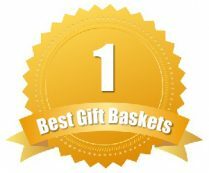 What sets WineBasket.com apart from the rest is their selection. They have tons of baskets that contain wine, but also plenty that feature fine champagnes and accompaniments. 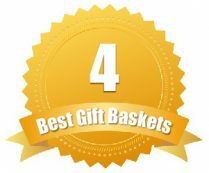 They are also one of the only gift basket merchants to offer beers and spirits, such as their Brooklyn Brewing basket or their black tie vodka gifts. Most of their baskets, however, fall into the wine and champagne categories. If you want something special, you can call their concierge service and get a custom-made gift basket with the wines, champagnes or beers of your choice. 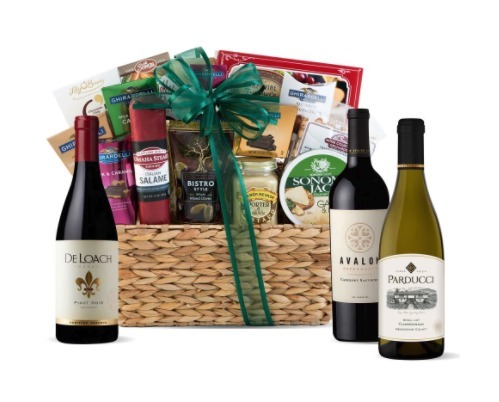 Most of the wine and spirit gift baskets from WineBasket.com will fall between $50 and over $250. They even have one with champagnes that goes up to $800. But, the good news is, most of their baskets come with free ground shipping. Want to save on a basket? If you create an account with WineBasket.com, you can receive discounts and coupon codes to save even more. 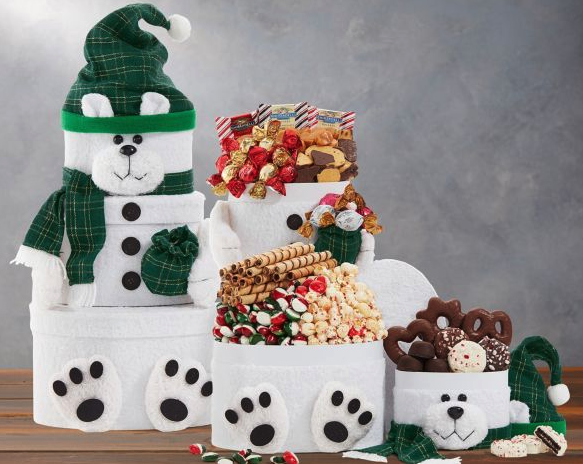 Omaha Steaks is known for their cuts of beef, excellent chicken products and even their charcuterie, but what you may not have realized is that they also offer gift baskets. Most of their gift baskets come with wine, but you can also add wine onto your basket or even onto a meat order that you are giving as a gift. 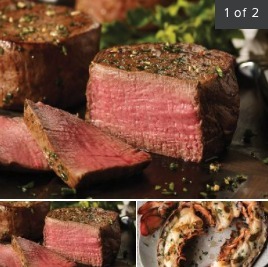 The gift baskets from Omaha Steaks are mostly with wine, including reds and zesty whites. Their baskets contain more gourmet ingredients that are picked to pair nicely with the wines they include, such as cheeses, charcuterie, smoked products and even come with freezer-packed steaks. Their wine charcuterie boxes include rustic crackers, wine, chocolates, cheeses, steak slates and steaks. 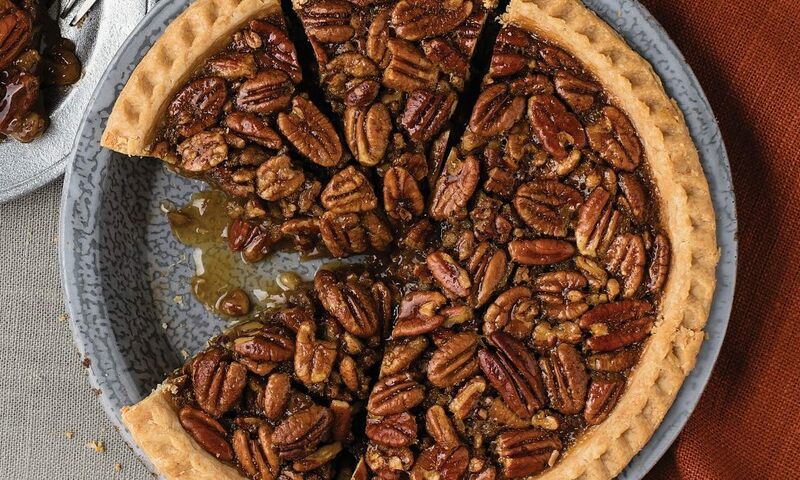 What is best about Omaha Steaks is the fact that all of their gift baskets ship for free – which always helps when you are spending a little extra on a gourmet gift. 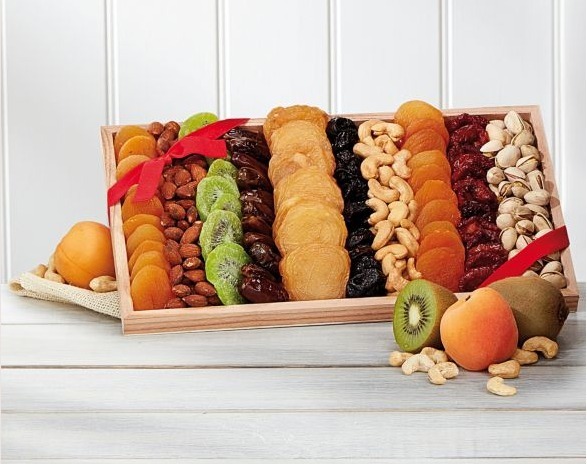 Majority of the gift baskets from Omaha Steaks with wine start at over $75 and go as high as $200, but the quality of ingredients you get in these baskets speaks for itself. And, with free shipping, you don’t have to guess at how much you’ll spend. 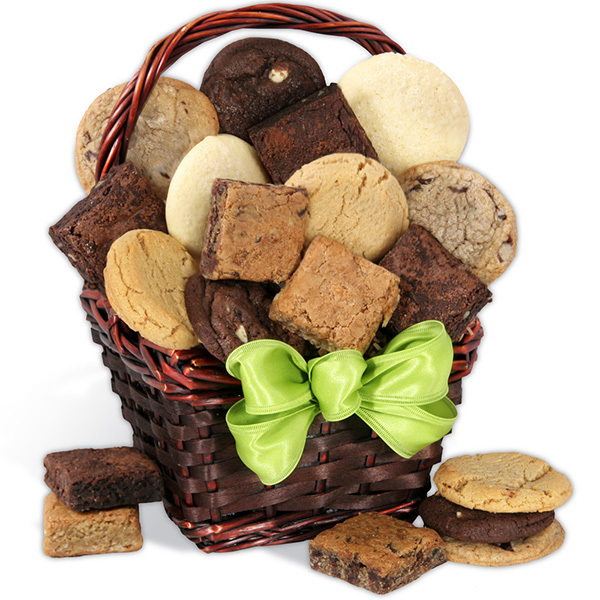 Don’t want to send a basket? Send an assortment! If the gift baskets don’t work, you can always send a meat assortment with a bottle of wine from Omaha Steaks. 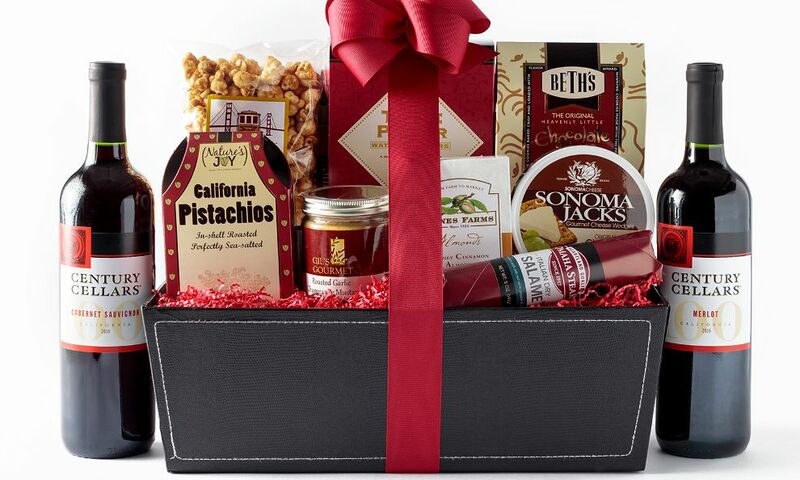 You cannot shop at a place named Wine Country Gift Baskets and expect to not have gourmet wine gifts. Wine Country’s baskets feature wines straight from Napa Valley – hence the name. While all baskets contain wine, they have them categorized to make shopping easier. 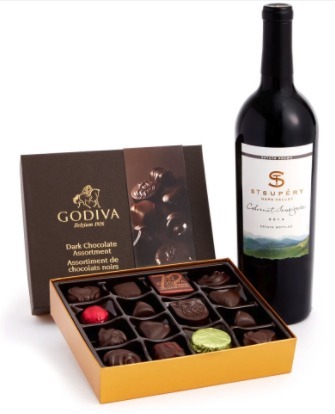 You can choose from fine wines, gourmet wines, holiday wines, or gift boxes. You can also pick your baskets based on the type of wine, including cabernet, champagne, chardonnay, merlot, moscato, pinot noir, red wines, sauvignon blancs and white wines. Even though their wines come from Napa Valley only, that is the mecca of fine wines. Their baskets are created to pair nicely with the wines that have been handpicked by the wine curators in-house. 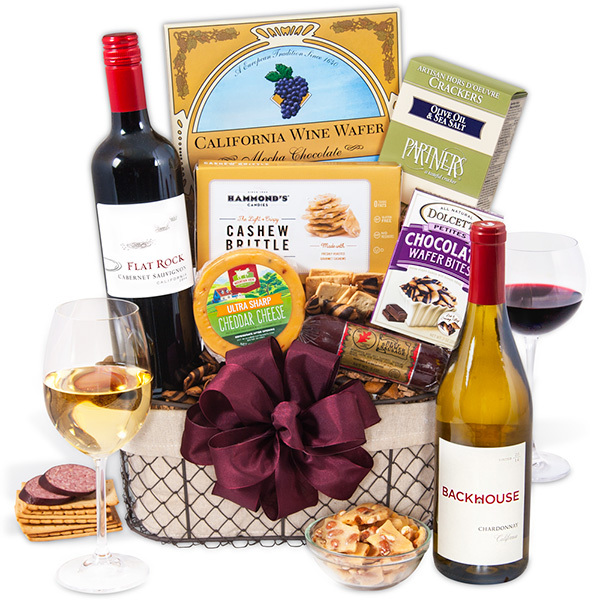 The wine gifts from Wine Country Gift Baskets start at under $30 and can go well over $200. You can enjoy free shipping on some of their baskets. Want to save a little extra? 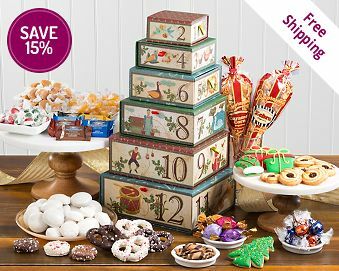 Don’t forget to check out the deal of the day section on their site and see if you can save a little extra on your gift basket order. 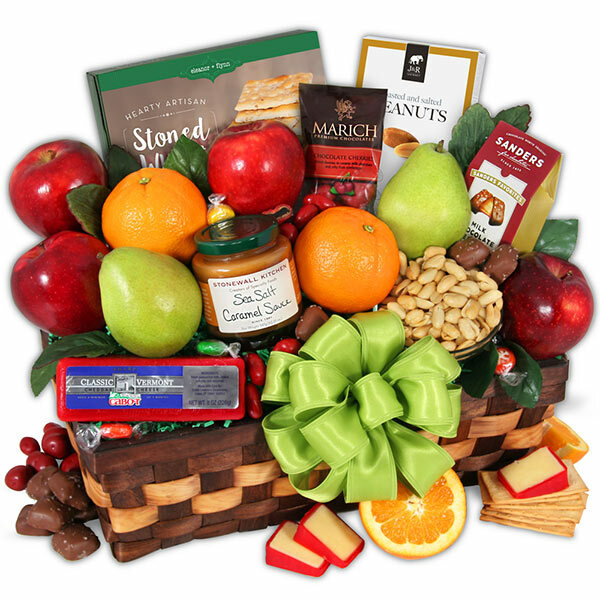 GourmetGiftBaskets.com specializes in fine food gifts and wines. They also have an impressive selection of gifts that include beers, wines, champagnes and cocktails. 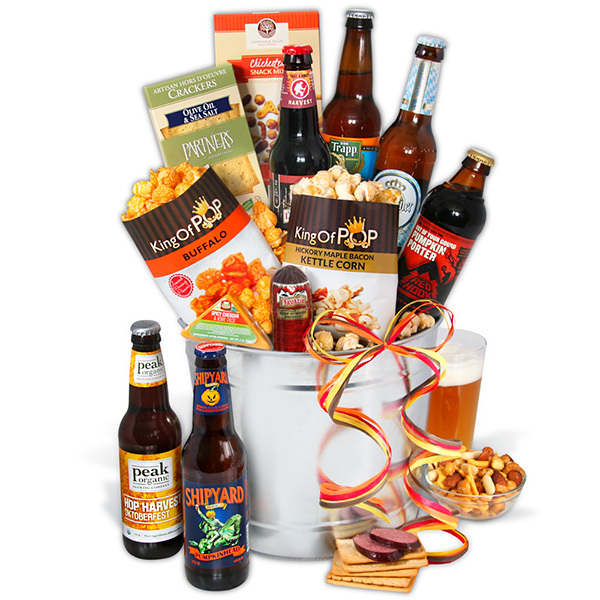 Their beer gifts are fun and include beer snacks as well as a variety of microbrews. When it comes to wine, they have plenty of cheeses, fruits, crackers and accompaniments for the wines. Champagnes include champagne accompaniments, such as cheese, crackers, chocolates and more. You can find plenty of cocktail mixes and fun gift baskets, such as their Bloody Mary kit, cosmopolitan kit and even the margarita kits. The baskets that contain wines or spirits will cost over $50 and go well over $200 – depending on the type of liquor, wine or champagne you select. Want a basket that ships today? Take the guesswork out of when your basket will arrive by picking from the baskets that can ship the same day.